Lenovo launched a new high-capacity battery equipped smartphone in the country yesterday called the K6 Power. Priced at Rs. 9,999, the 4G-enabled Lenovo K6 Power smartphone will be available exclusively in India via Flipkart in an open sale starting 12pm IST on December 6. 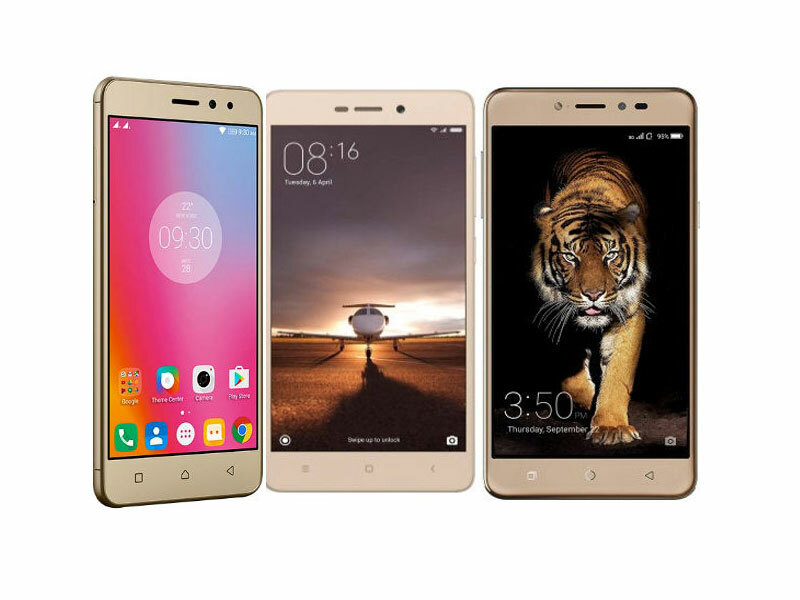 The company has launched the Lenovo K6 Power 3GB RAM/ 32GB storage model in the country in Silver, Gold, and Dark Grey color variants. The K6 Power smartphone was first launched at IFA 2016, with its highlights being a large 4000mAh battery, Dolby Atmos audio enhancements for earphones and stereo speakers, TheaterMax media-consumption service, and a fingerprint sensor that’s located on the rear panel. The new Lenovo smartphone sports a 5-inch full-HD (1080×1920 pixels) IPS display and is powered by a 1.4GHz octa-core Qualcomm Snapdragon 430 SoC and Adreno 505 GPU. The K6 Power bears a 13-megapixel rear camera with a Sony IMX258 sensor, PDAF and LED flash, apart from an 8-megapixel front camera with a Sony IMX219 sensor and a wide-angle lens. Xiaomi Redmi 3S Prime comes at Rs 8,999 in India and features similar specifications. The budget smartphone gets a 5-inch HD display and runs MIUI 7 with Android 6.0 Marshmallow. It packs a big 4,100 mAh battery, which easily lasts for up to 2 days. The smartphone has a metal unibody design with the curved back. It is powered by a 1.4Ghz Qualcomm Snapdragon 430 processor with 3GB RAM and 32GB storage (expandable up to 128GB via microSD slot). The smartphone sports a 13-megapixel rear camera and a 5-megapixel front camera. The Redmi 3S Prime has a fingerprint scanner on the back. Xiaomi Redmi 3S Prime is available in Gold, Grey, and Silver color options. In our review of Xiaomi Redmi 3S Prime, we called the smartphone as the battery king. Coolpad Note 5, on the other hand, is powered by an octa-core Snapdragon 617 SoC coupled with 4GB of RAM and comes with 32GB onboard storage. The ZenFone Max (2016) is powered by an octa-core Qualcomm Snapdragon 615 clocked at 1.5GHz while comes in 2GB and 3GB RAM models. It packs 32GB of inbuilt storage.